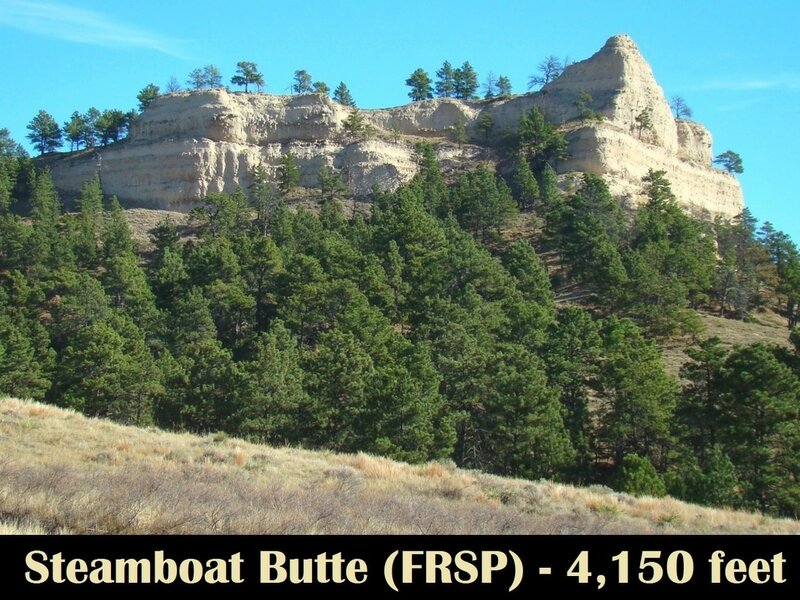 Fort Robinson's Steamboat Butte is often forgotten, because so much attention is given its nearby sister summit, Saddle Rock. 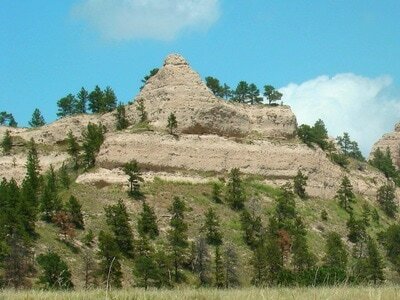 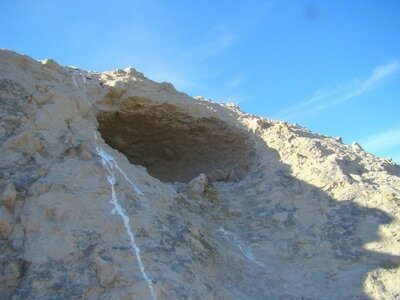 It is often viewed as an appendage of Saddle Rock. 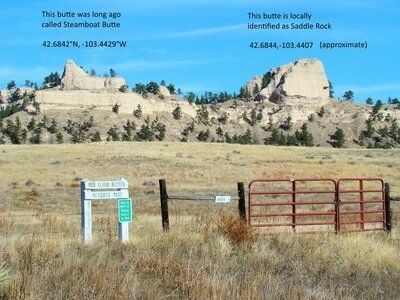 It doesn't help that neighboring Saddle Rock, Red Cloud Buttes and Lover's Leap Butte all appear on maps, while Steamboat Butte does not. 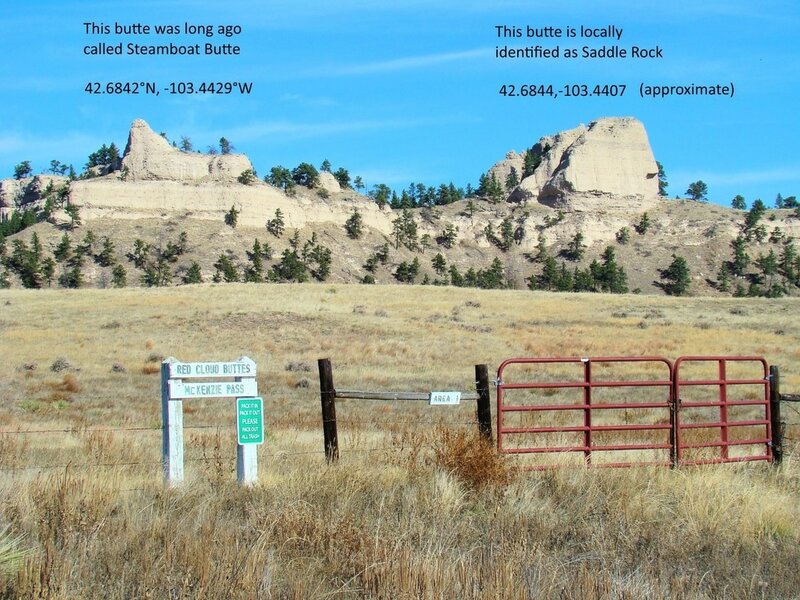 Worse, most maps give Steamboat Butte’s GPS coordinates as belonging to Saddle Rock. But, it can be accessed the same way as Saddle Rock - from the Wagon Wheel Trail - either from the trailhead at the Crawford Rodeo grounds or at the small parking lot 1/2 mile west of the Legend Buttes Golf Course in Crawford. 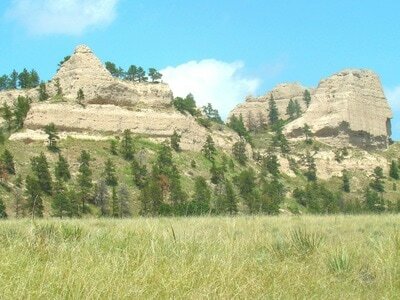 The Wagon Wheel Trail crosses McKenzie Pass, where there are game trails out to Steamboat Butte and Saddle Rock. 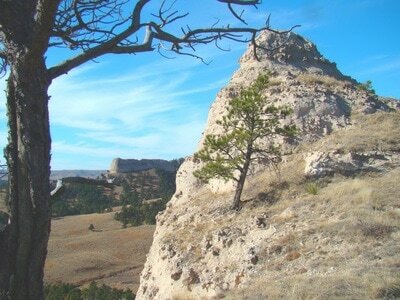 This is mapped out on the Nebraska Interactive Trails map. 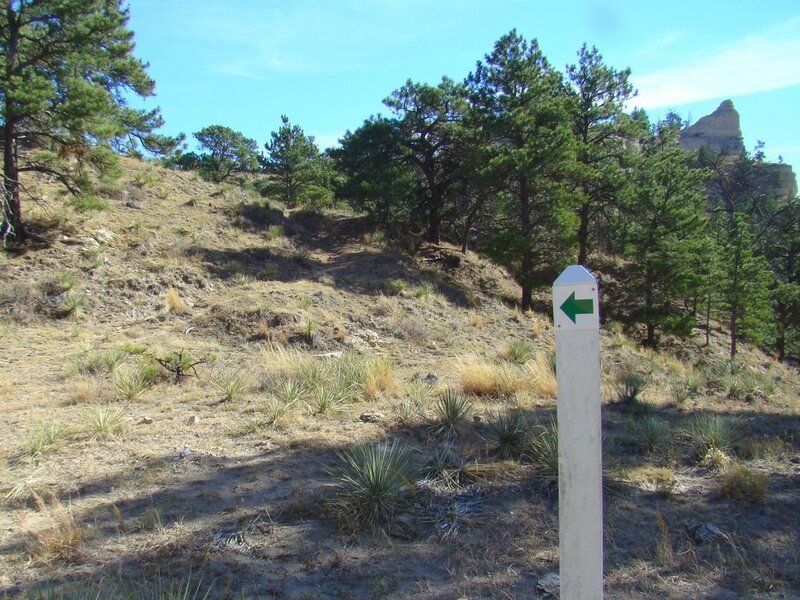 The degree of difficulty for reaching the summit increases as you go up, due to the last part of the ascent growing steeper. But, it is not a long scramble, and affords some great views, plus the opportunity to also scramble up Saddle Rock when you are done. 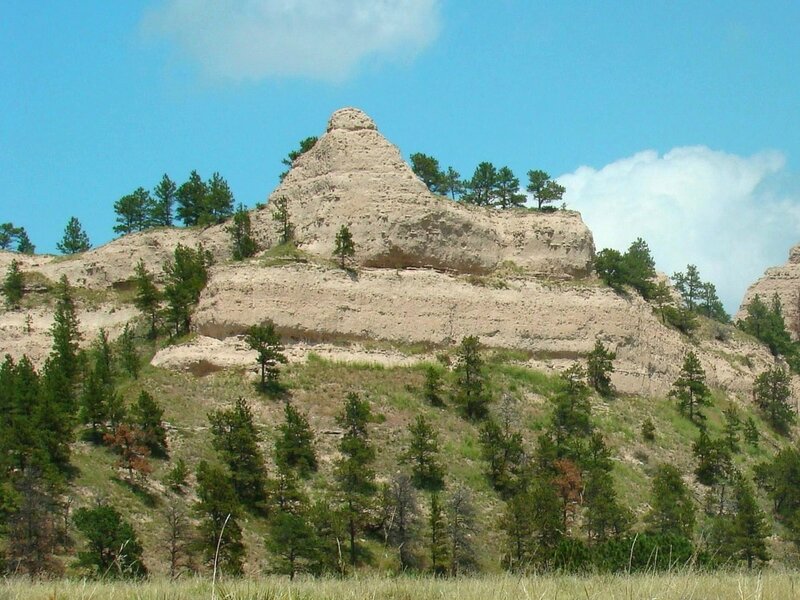 As a side note, it is rather interesting that there is another Steamboat Butte in Dawes County, but that one is at Chadron State Park. 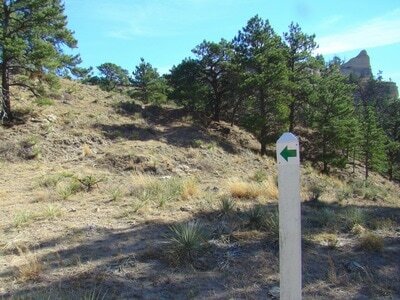 The trail marker here at McKenzie Pass is where hikers turn to go to Steamboat Butte and Saddle Rock.